I read a lot. Between reading manuscripts in the Acquisitions Department of Ooligan Press, reading submissions as an editorial intern at Tin House, and reading books on the bus each day, I consume a lot of stories. Because of this, I thought it appropriate that I start talking about all these books. 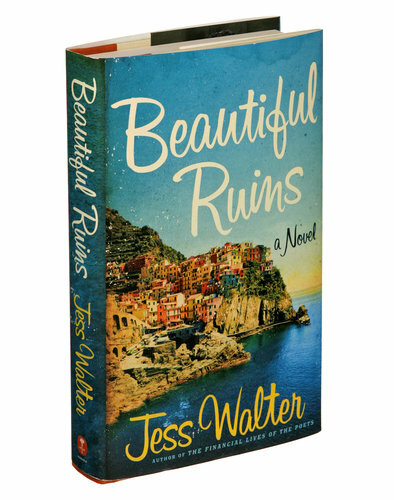 To start, I chose my current read, Jess Walter’s latest novel Beautiful Ruins. I’ve heard Jess Walter read twice in the last six months. He is a funny man, an entertaining author in person, and a wise writer with useful tips for younger writers (I wrote about him a few posts back in a post about writing about place). It took me a while to get around to reading his work. It was Beautiful Ruins–with its positive reviews and appearance on Entertainment Weekly‘s Must List–that finally drew me in. The brightly colored cover of Beautiful Ruins captures the magic and visual stimulation of the Italian coast and its famous Cinque Terre. This alluring cover seems almost false once you look inside and read the sadness within. This is a big book, an expansive book. It’s not only big because it jumps countries and spans some five decades, it just feels like a big story. It centers around multiple main characters and their intertwining lives. In summary, the story revolves around a young Italian hotel owner, Pasquale, who meets an unknown but captivating American actress, Dee Moray, who washes up on his hotel beach’s shore in the 1960s. Fast forward to present day and an old Hollywood mogul, Michael Deane, who had worked on the production side of the same film as Dee Moray is flopping through old age with a washed up career. His idealistic production assistant, Claire, is about to quit until a cool loser from Portland named Shane walks in to the office to pitch a movie at the same time that Pasquale appears from the past to inquire about the lost actress. One of the techniques Jess Walter masters so seamlessly is his ability to jump to different characters’ perspectives and to switch plot threads without making the reader feel abandoned. He even employs different means of relaying story and character development. Through Shane’s movie pitch about the Donner party, we can see his hopelessness and broke down spirit after living too long in a liberal arts educated, short story writing, coddled cocoon of his own self-assurance. Michael Deane, who comes across as a sleazy old man who hurt one too many people on his way to the top, reveals his character (and earns a bit of sympathy) in a chapter written as though it were the excerpt of his memoir. The chapters and story lines are organized in a way to keep some of the story’s twists and secrets hidden until just the right time. Sometimes I wonder how writers master this technique, or if it is something that occurs during the editorial process. I wonder if Jess Walter wrote this book in a linear way, as one cohesive story, and then pulled chapters and scenes out of order to optimize tension and build suspense. However he did it, the end result is masterful. This novel reminds me a lot of Jennifer Egan’s Pulitzer Prize Winning novel A Visit from the Goon Squad. Both books focus on a specific industry (in Walter’s book it’s the film industry and in Egan’s it’s the music industry) and show both their lighter and (probably more so) darker sides. Both feature and switch points of view between an eclectic cast of characters (Walter’s Claire seems to mirror Egan’s own assistant with a back story Sasha). Both authors play with time and setting by moving locations across the world (West Coast, East Coast, Europe, Africa) and telling their stories out of chronological order. I’d argue that the passing of time is a more apparent theme in A Visit from the Good Squad, but it certainly plays a big part in Beautiful Ruins and its tale of lives changed, love lost, and promises broken over a long period of time. Finally, both authors employ the usage of unconventional modes to tell what could otherwise be straightforward stories. As I mentioned above, Jess Walter writes entire chapter as a movie pitch and another as a lost chapter from a memoir. 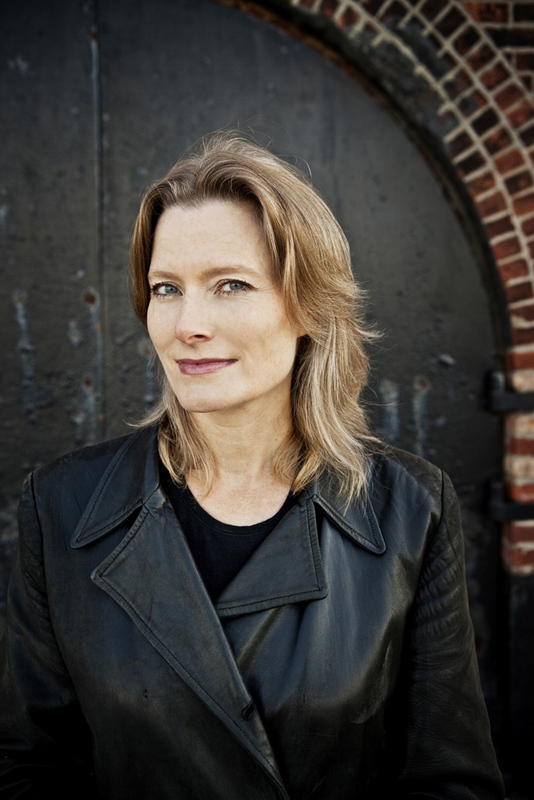 Jennifer Egan is famous for telling an entire sub-plot of A Visit from the Good Squad in the form of a PowerPoint presentation. These are risky choices that absolutely pay off. They seem vital to the story as well. Without the quirkiness of the PowerPoint slides wouldn’t that chapter of Egan’s story simply be about the pains of family? Without the autobiographical lens through which to view Michael Deane, wouldn’t that chapter simply be another story about a Hollywood sleaze bag screwing people over? As a writer, it pays to consider how the simplest change to form–either by using a different structure to frame the narrative or by rearranging the order of that narrative–can make a big difference and could enliven an otherwise straightforward story. I had a few problems with this story, namely the sometimes all too convenient ways characters re-crossed each other’s paths later in life. I had a hard time buying some of the cute plot twists, but that could simply reflect my own cynicism. Otherwise, I found this book impressive. It is the work of a skilled writer who knows how to tell a big story, how to introduce a large cast of characters without letting the audience lose track of anyone, and how to cross time and place to see his story through to the end. While reading the book I found myself caught up in the whirlwind plot and lost in the vibrant descriptions of the Italian seaside. I chuckled at Walter’s witty and pointed observations and found myself rooting for the book’s hero Pasquale. Overall, this is a worthwhile read and a great book for those looking for escapism. I say skip the movies and read this book.